She's not the typical Disney princess, but that doesn't make Merida any less royal. Merida is the star of Brave, the latest movie from Disney Pixar. She's feisty, fearless and sure to be a princess you're happy to have your daughter dress up as. 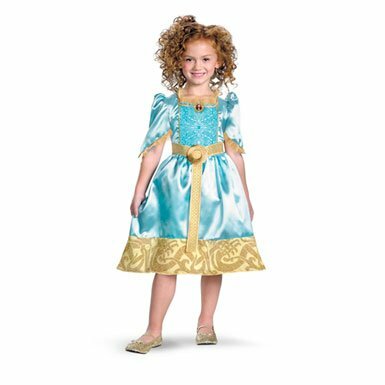 It's easy as can be with Merida costumes from Disney and others. 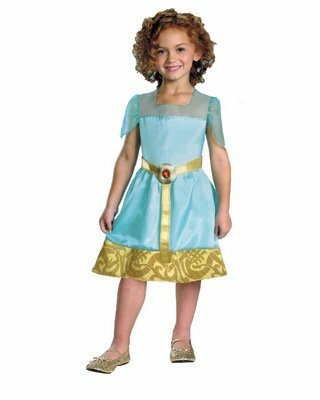 The costumes come in the every day outfit for Merida - a dark green dress - as well as the dress she wears for the archery competition - a formal blue gown with gold trim. Add in the archery kit and red wig and there will be no mistaking you for anyone else! Throughout the movie, we tend to see Merida in her green dress. It's a simple, sturdy looking dress, usually paired with a gray cape and her bow and arrows. 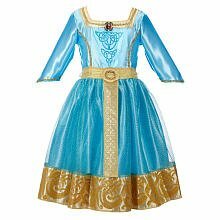 Given the fact that when you pair "princess" and "costume" together, people expect glamor, Disney and other costume makers have dressed this outfit up quite a bit. Pretty sure your daughter won't care. Worn for the archery competition in which she shoots for her own hand. Maybe it's just because it's already supposed to be Merida's fancy outfit, but the blue gown costumes are far closer to the movie version. With the exception of the Merida cameo on the chest and the length. Oh, and I haven't seen anything with the white headdress. Seriously doubt you'd get any little girl to wear that, though! This is the dress Merida is wearing during the official ceremony where one of the young lords is to win her hand in marriage. She foils all that by participating in (and winning!) the competition herself. So there is one part of this scene where she is wearing her cape and, of course, shooting her bow. The non-Disney versions are shorter and vary greatly in the sleeve styles. 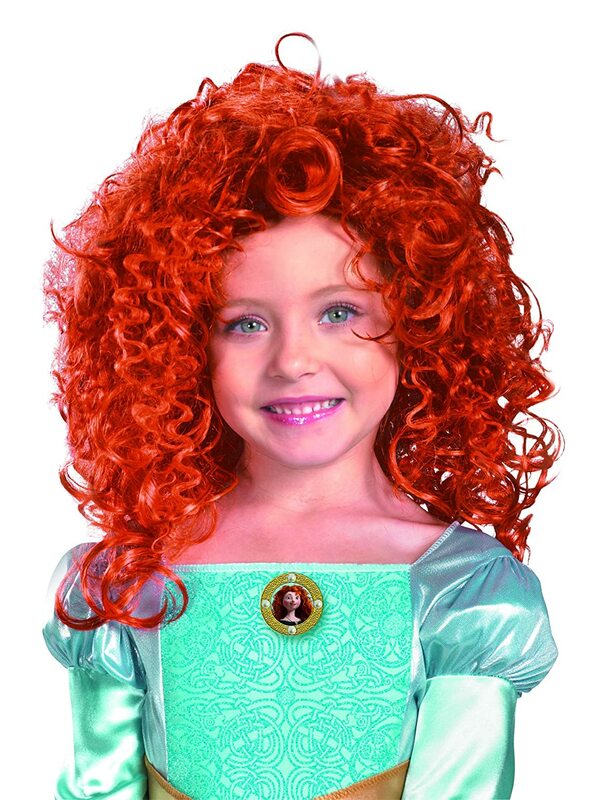 The odds are pretty much against your daughter already having Merida's hair. (And if she does, my sympathies!) So to keep this from being just any old princess, a wig is probably a good idea. If you already have on for Ariel, that would probably be good enough since it's pretty close to the same red. Just not quite as curly. 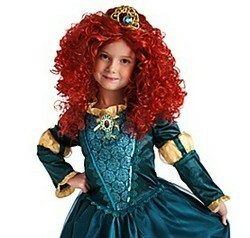 Still, there are some options that have been designed just for Merida costumes. 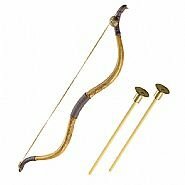 The most obvious accessory for Merida is her bow, arrow and quiver. It's a huge part of the story as well as her personality. Merida's a princess - of sorts. So of course, Disney has to give her a crown and glittery shoes. No getting around it, folks. Now, when Merida first has on her blue dress, she does have a slim tiara over her headdress. Which Merida Costume Will You Be Wearing?